Hala Bira! Iloilo Dinagyang Festival 2014 | Schedule of Activities - Balita Boss! Hala Bira! The Dinagyang Festival in Iloilo is one of the most colorful festivals in the Philippines. It is an annual festival in honor of Señor Sto. Niño held on the fourth Sunday of January. The event is celebrated right after Sinulog in Cebu and the Ati-Atihan in Aklan. 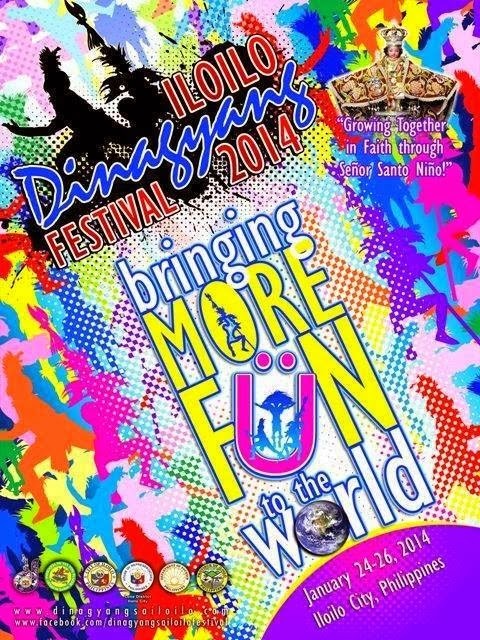 Here are the detailed lists of official schedule of activities for Dinagyang Festival 2014 courtesy of dinagyangsailoilo.com. Do you have planned or have you already booked your flight going to Iloilo this January to join thousands of people celebrating Dinagyang Festival 2014? If you decide to do, enjoy the festival and have fun. If you'd like to share your experiences in Dinagyang Festival, please leave a comment below.